In this time of global upheaval, many believe that human consciousness is evolving: we are learning to attune to greater collective compassion. On a personal level, how does this evolution occur? How do we learn to receive universal love and wisdom? We are faced with continual challenges and questions in this life: Why am I here? Where am I going? Why is there suffering? In our times of need and uncertainty we wonder: What is the best source of guidance for me? It is the purpose of this book to offer a doorway into the sweet conversation with our own personal spiritual guidance. Through inspired messages and a series of simple exercises, this unique workbook gently invites the reader into a generous frequency of compassion and forgiveness. 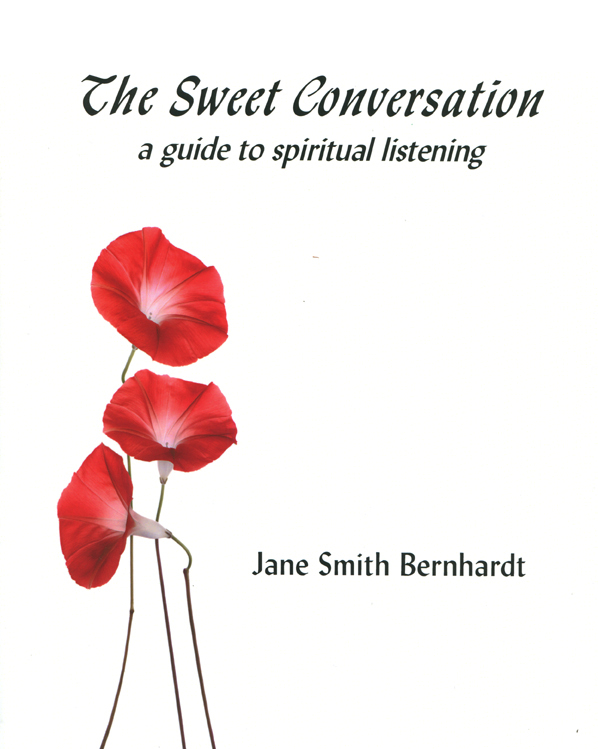 The author shares her own journey into dialogue with unseen helpers, beginning with the admonition to be gentle with the self, and wait…. Now she leads Listening Circles where many find an opening to unconditional love and wisdom. 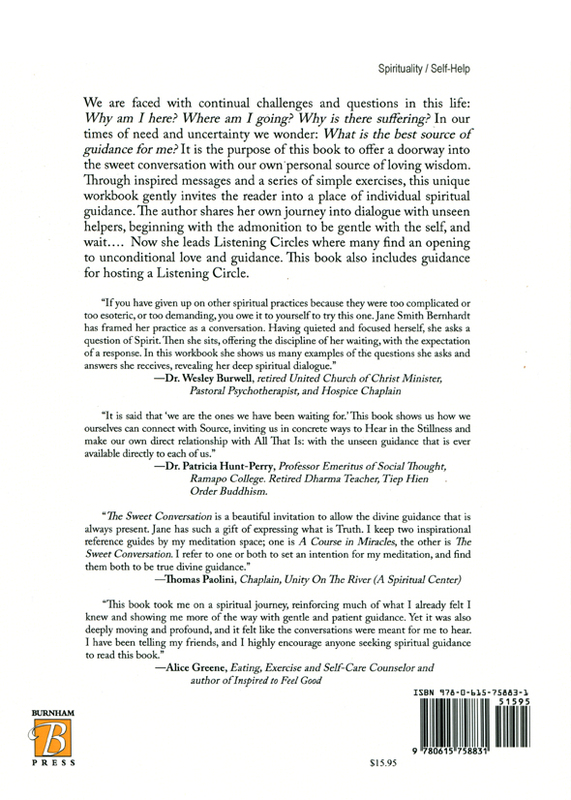 This book also includes guidance for hosting a Listening Circle. Jane teaches and lectures on a variety of topics including spiritual guidance, portraiture, resistance and social transformation. Contact Jane for details.